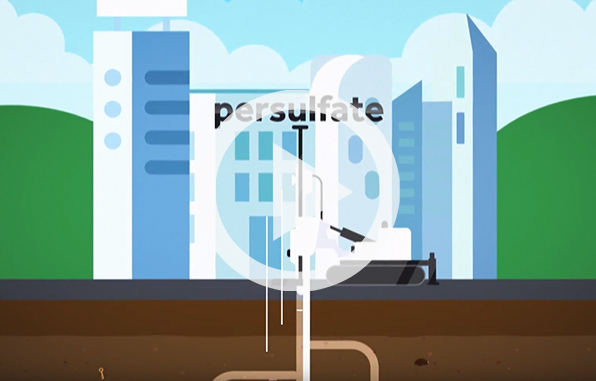 PersulfOx is an advanced in situ chemical oxidation (ISCO) reagent that destroys organic contaminants found in groundwater and soil through abiotic chemical oxidation reactions. It is an all-in-one product with a built-in catalyst which activates the sodium persulfate component and generates contaminant-destroying free radicals without the costly and potentially hazardous addition of a separate activator. The patented catalyst enhances the oxidative destruction of both petroleum hydrocarbons and chlorinated contaminants in the subsurface. Typically, sodium persulfate is activated with the addition of heat, chelated metals, hydrogen peroxide, or base in order to generate sulfate radicals. These activation processes are inherently complex, costly and can pose additional health and safety risks. In comparison, PersulfOx is a relatively safe and easy-to-use ISCO agent. 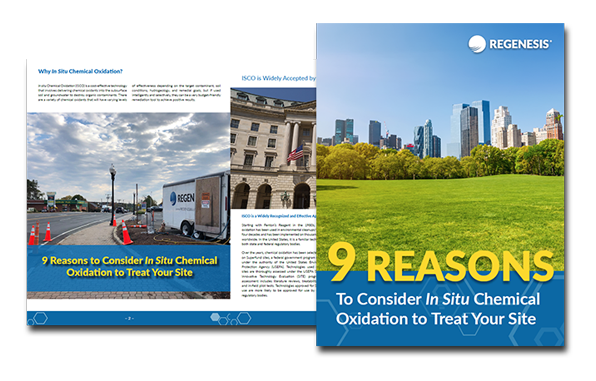 PersulfOx SP is part of the PersulfOx line of in situ chemical oxidation reagents which, when used for environmental remediation, is capable of destroying organic contaminants in groundwater and soil through powerful chemical oxidation reactions. 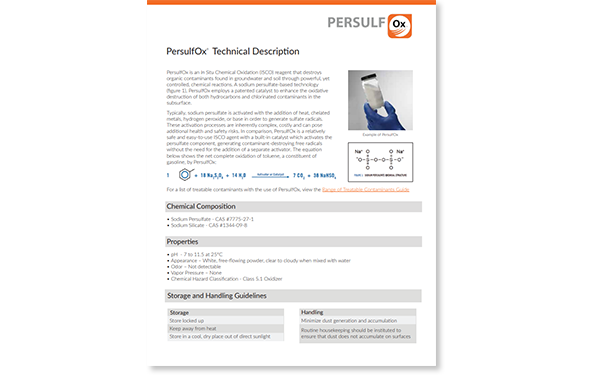 PersulfOx SP was formulated for use on projects specifying the use of persulfate and a separate chemical activation process such as iron activation. It can also be used as a follow-on treatment to Regenesis’ PersulfOx Catalyzed Persulfate technology. 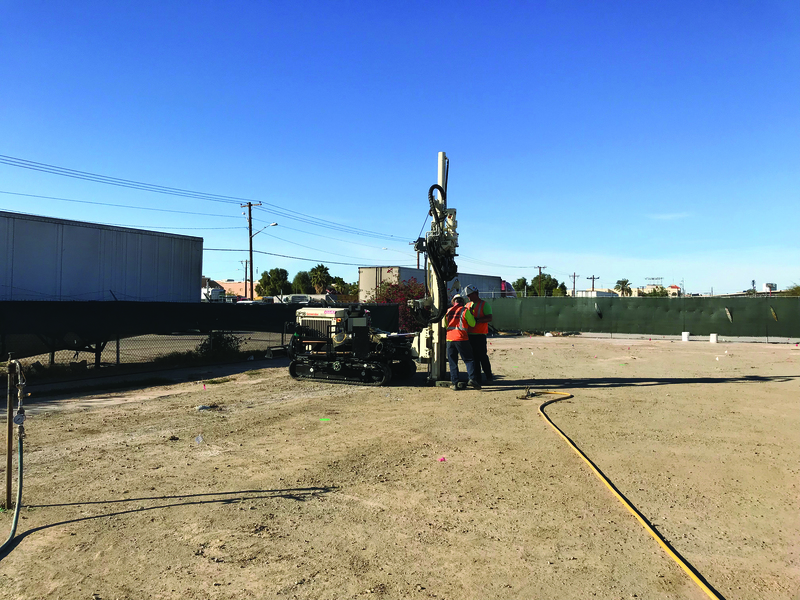 When mixed with water PersulfOx SP forms a solution that can be mixed with soil or injected into subsurface groundwater along with a chemical activation technology (i.e. chelated iron, etc.). Upon activation the product produces a suite of powerful oxidizing radicals which destroy a broad range of pollutants. Once the activating chemical is consumed, a level of radical formation is sustained as a result of the PersulfOx catalyst’s persistence. Traditional methods of activation are known to be short-lived, requiring multiple reapplications of costly chemical activator. By replacing sodium persulfate with PersulfOx SP, the environmental professional gains all the benefits of traditional activation technologies PLUS the assurance that after the chemical activator is consumed, the catalyst remains behind. The remaining catalyst continues the formation of the desired pollutant destroying oxidation reactions. In the event that a remediation program involving PersulfOx Catalyzed Persulfate requires multiple injections of oxidant the practitioner may determine that a full measure of catalyst is not required in which case follow-on applications of PersulfOx SP may be appropriate. 1 US and international patents apply. 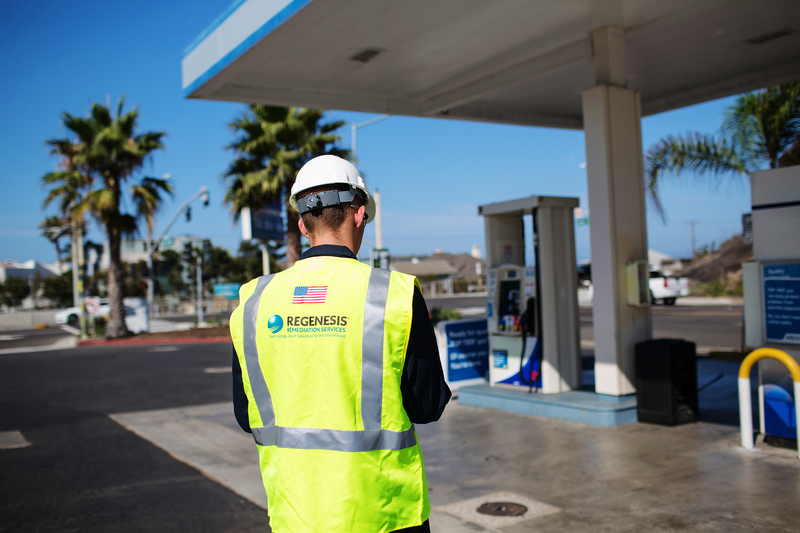 License to practice technology granted by REGENESIS.